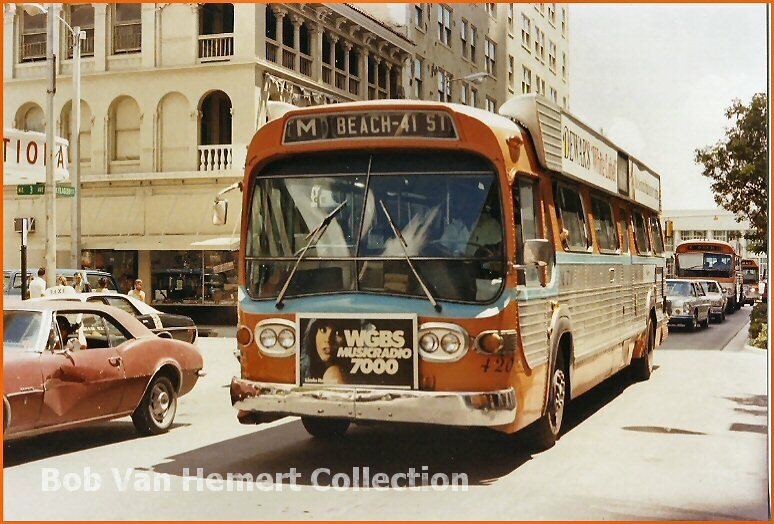 The 400 series General Motors buses was an order of 20. They were numbered 401-420. 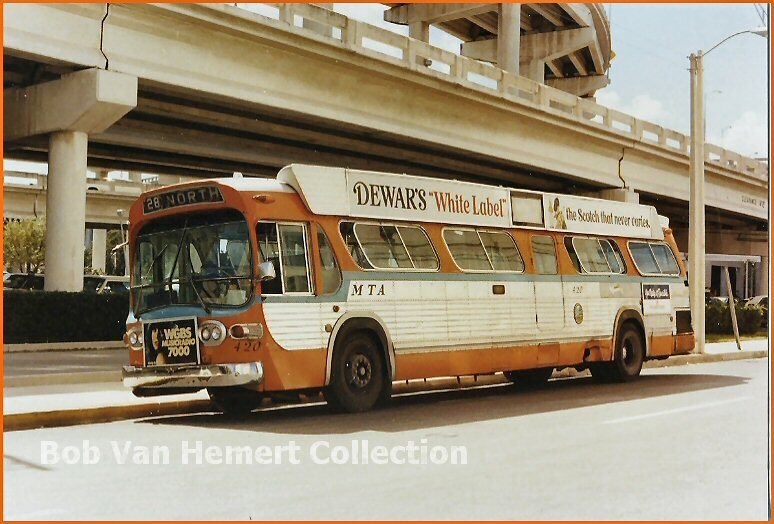 They came with the Detroit Diesel 6V71 engine and the Allison VH9 two speed automatic transmission, They had a unique feature to them, They had the turn signal controls mounted on the steering when instead of the floor like other full sized transit buses. The last of the series were retired in late 1984/early 1985. 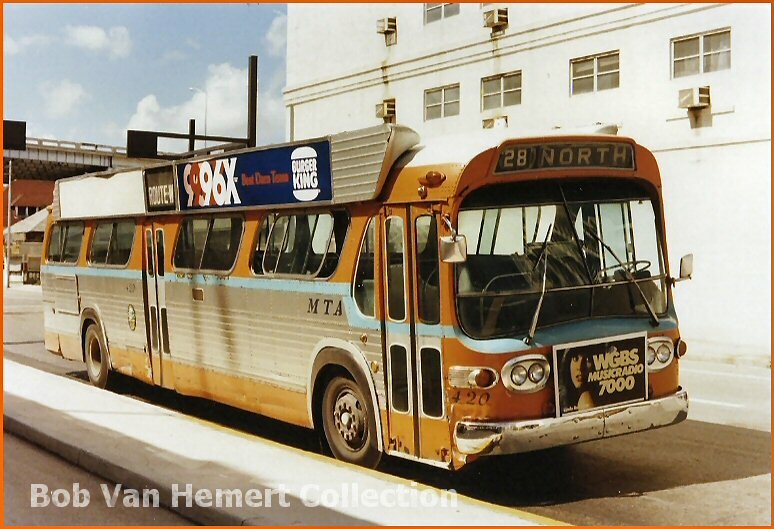 Bus 420 on the Hialeah bound 28. 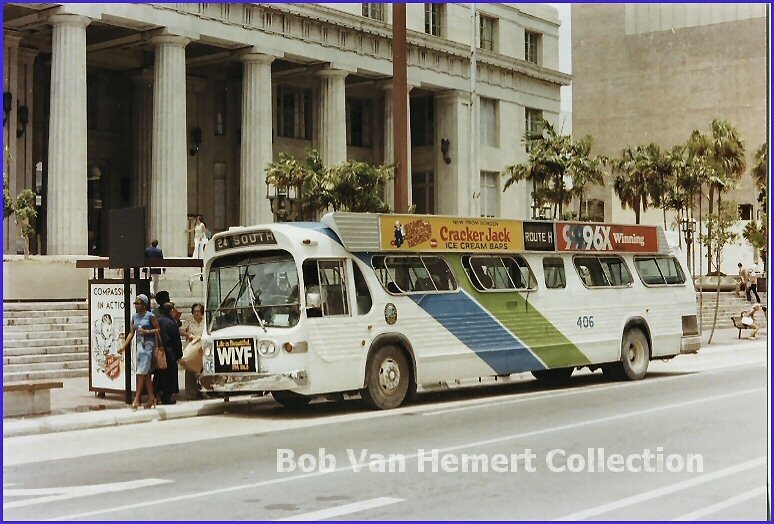 Bus 406 serving the bus stop in front of the courthouse in downtown Miami. Bus 417 at the end of the line of the Route 30 in Hook Square, Miami Springs. The 420 again on a beach bound Route M to 41st street.